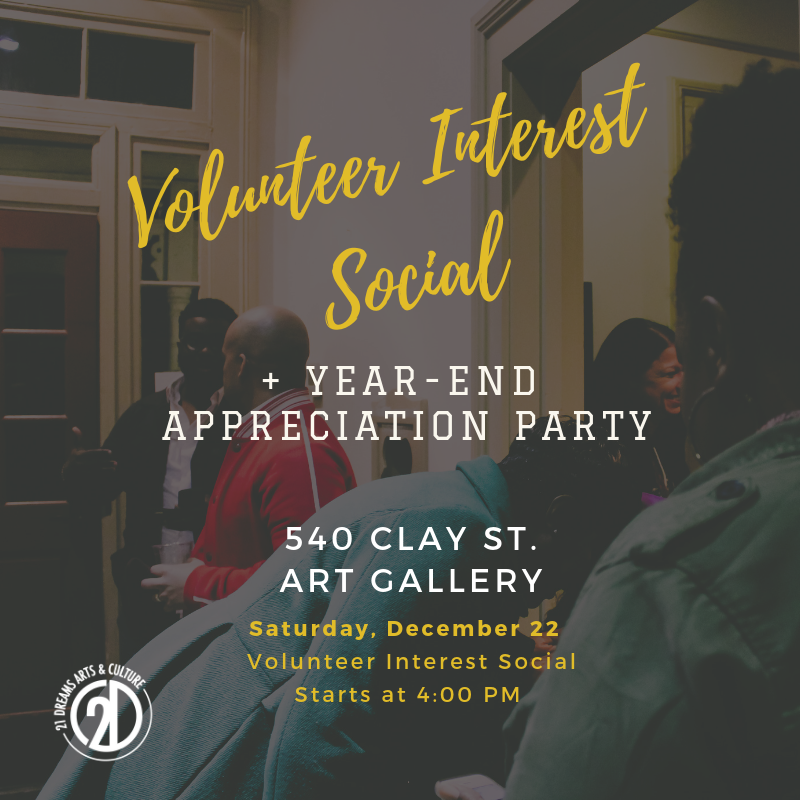 We will be hosting our annual Volunteer Interest Social on Saturday, December 22nd at 4PM. If you are interested in lending your time, talents and efforts to help push forward the vision of 21 Dreams, please join us at the 540 Clay Art Gallery! If you know of others who may be interested, feel free to invite them! Visit our ABOUT section for more insight into the organization and team. Following the Volunteer Interest Social, we would like to celebrate a progressive year with our artist collective & our 2018 team members! Open invitation to all of those who contributed to this year's programs & events. You are appreciated!